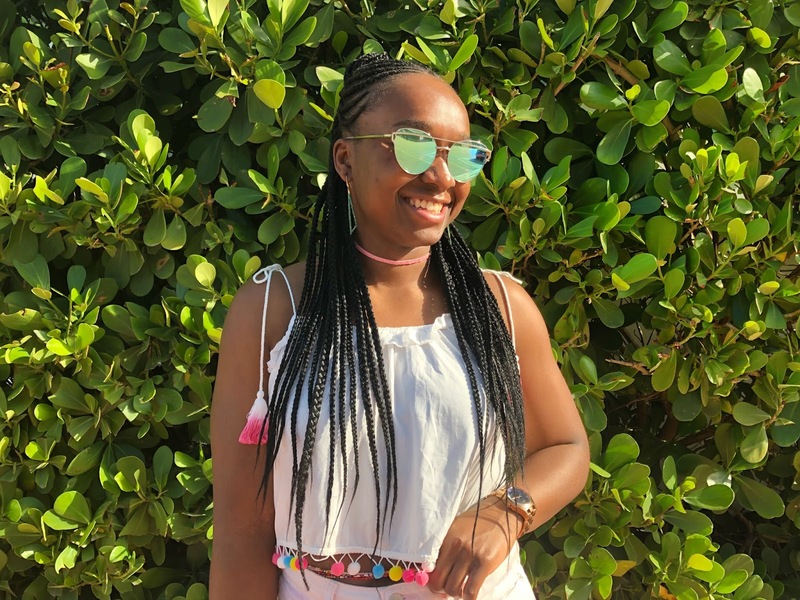 It is always a good idea to spend the weekend in Miami. Especially if it means escaping the Spring that can't decide if it wants to stick around in Chicago. This was a quick trip, but refreshing nonetheless. I got in just before midnight Thursday and took a 7am flight out Sunday, leaving me with 2 full days to soak up the sun. 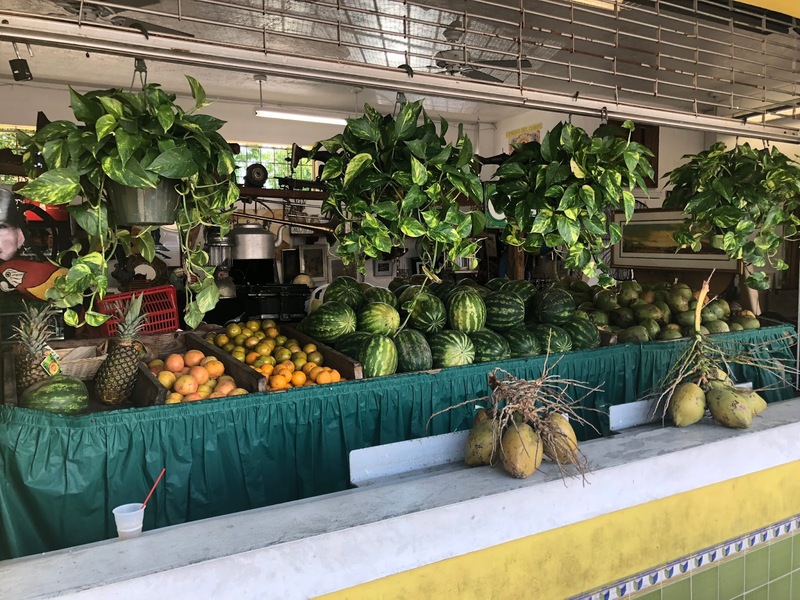 So, if you don't know this, Miami is a moderately expensive city, especially when it comes to food, so heading into this trip I was not keen on spending lots of money on a weekend wardrobe refresh. I bought some new items, but focused on what I already owned to put together these outfits. Not buying new clothes freed up some cash to do more fun things in Miami. 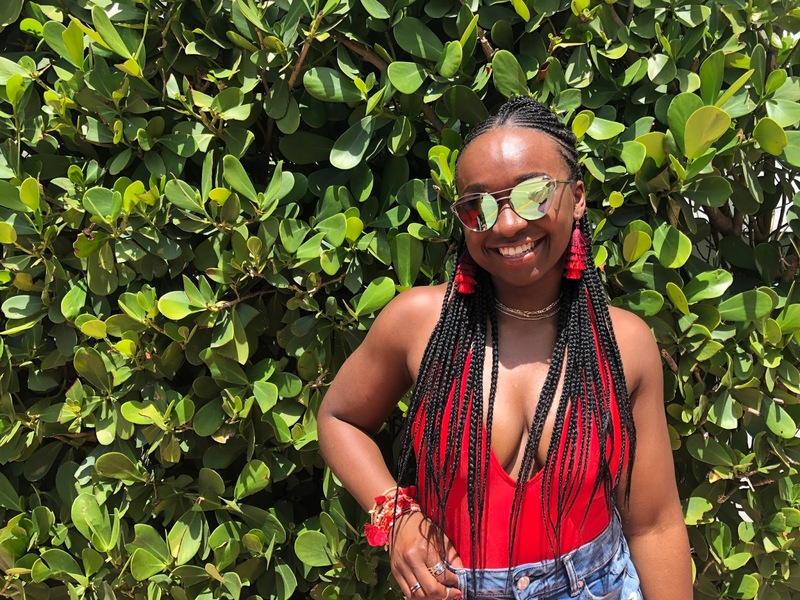 I traveled to Miami with a group of 11 other women and given the variety of personalities, just about everything went smoothly. We woke up at around 8am on Friday and went to Morgan's for breakfast. I had a frittata and fresh squeezed orange juice. Total sidenote: the availability of fresh squeezed orange juice year-round in Florida is top 3 best qualities of state. 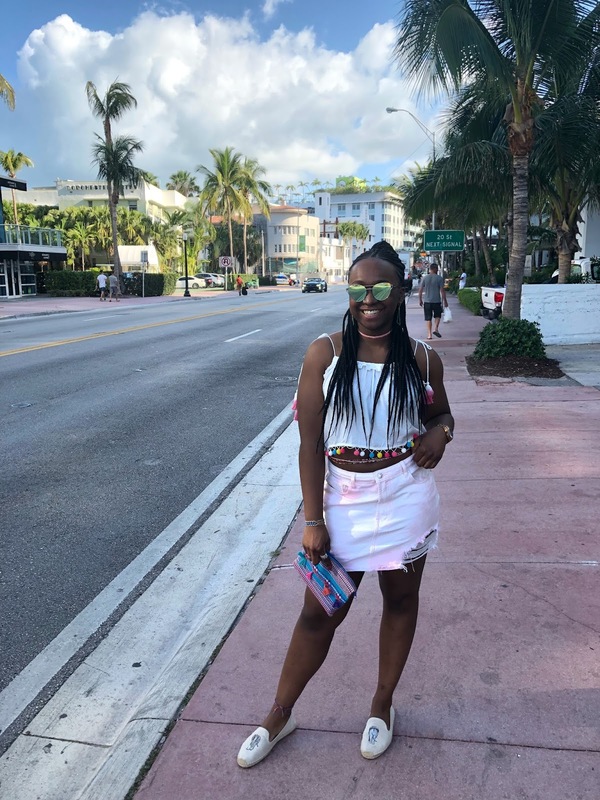 Above is my brunch outfit: skirt and top from Forever 21, shoes from Solodus, sunglasses from American Eagle, bag from a shop in Puebla, Mexico, waist beads from Nigeria, and earrings from Mashallah. After Morgan's, we headed back to the hotel to change into red bathing suits and head to the beach for a photoshoot. Even though we were going to the beach, I took the hotel's policy of wearing a beach coverup as an excuse to turn this into an outfit complete with accessories. Obviously, if you're going to Miami, and more specifically, South Beach, you have to spend time at the beach. I secretly hate sand, and got a mild burn on the balls of my feet running from the beach back to the hotel on hot concrete because I didn't want to get sand in my espadrilles. Bonafide fashion girl problems *shrug emoji*. 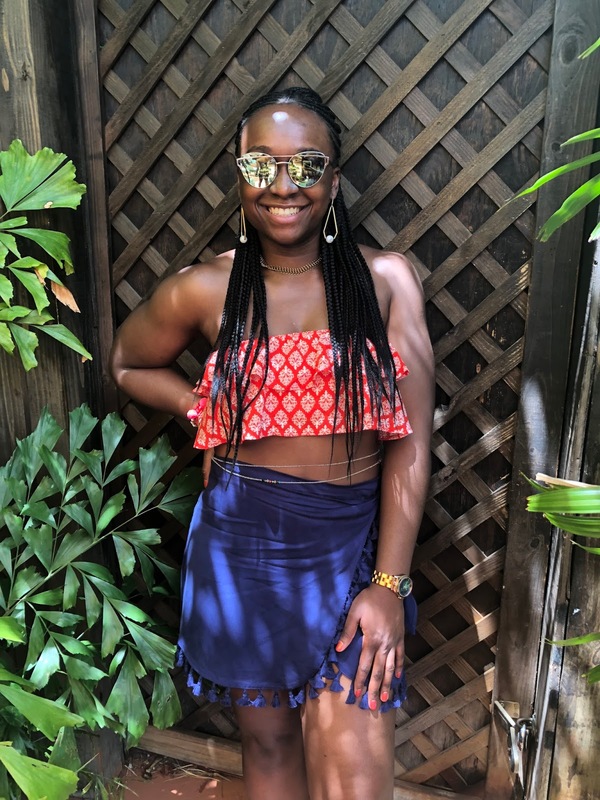 I'm wearing a bathing suit from Asos, skirt from American Eagle, and earrings, necklaces and bracelets are from Forever 21. I bought two stacks of the red bracelets so they'd look more full on my wrists - a lil accessory hack. Saturday morning, we got up early and grabbed a light breakfast at Mambo Cafe. The only special about it was that it was absurdly expensive for two eggs and some potatoes. We got a light breakfast because we were going on a Cuban food tour about two hours later. This tour was the definite highlight of the trip. 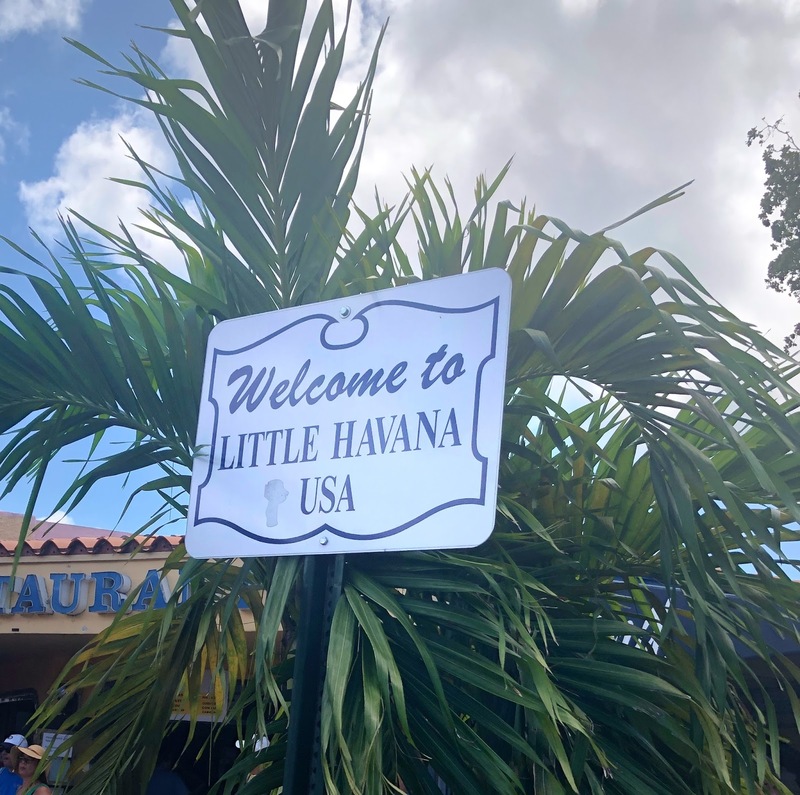 We went over to Little Havana and stopped into some of the best spots on Calle Ocho. The really awesome part about this tour was that it wasn't just about food: we stopped at cultural markers along the way, were given brief and interesting history lessons, and got to talk to a lot of the shop owners and local historians. 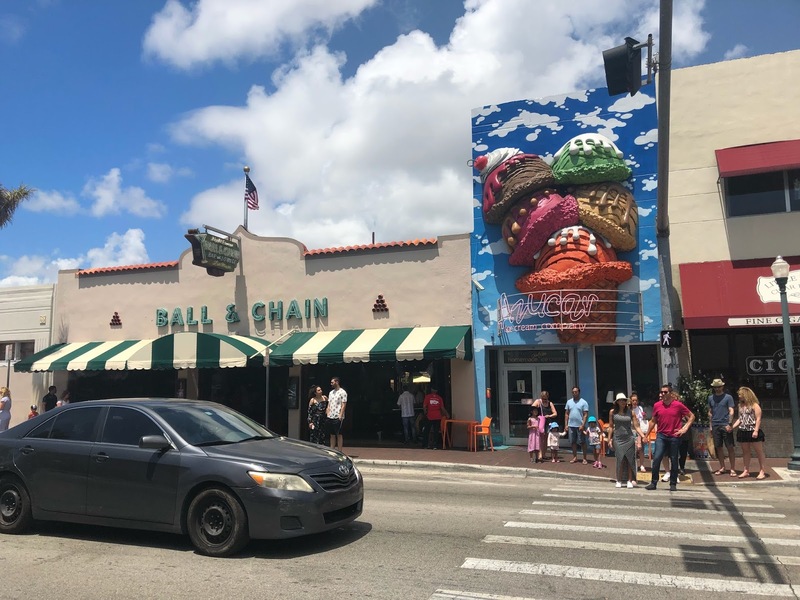 We went to Ball & Chain for mojitos, and Azucar for the famous Abuela Maria ice cream, which has pieces of Maria cookies and guava swirls in it, so good! 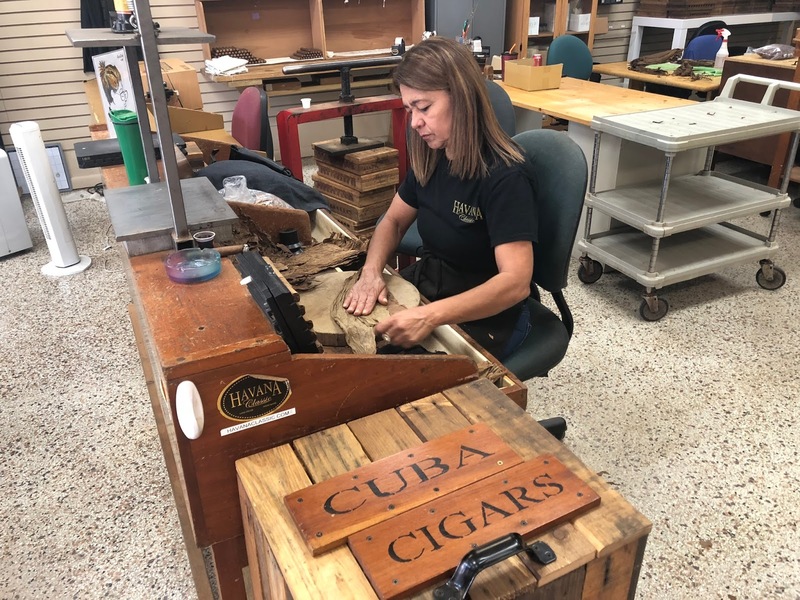 We stopped by Havana Classic and learned about how Cuban cigars are made, got to smell the different leaves, and go into the humidor. At Los Pinarenos Fruteria, we tried a drink called "guarapo," which is the syrup that comes out of sugar cane when pressed. It was as overwhelmingly sweet as you might imagine. Tour outfit! Top is from Forever 21, skirt is from Lulu's, necklace and earrings from Mashallah, and waist beads from Senegal. I could seriously go on and on about the tour, but I'm gonna stop here. You can book the tour here -- I highly recommend it, obviously. To round out our trip in Miami, we rented a boat. I think it shook out to about $50 per person and was totally worth it if you like the ocean, but hate the sand like me. Overall, this was a great trip. Miami is such a good place for a weekend getaway. 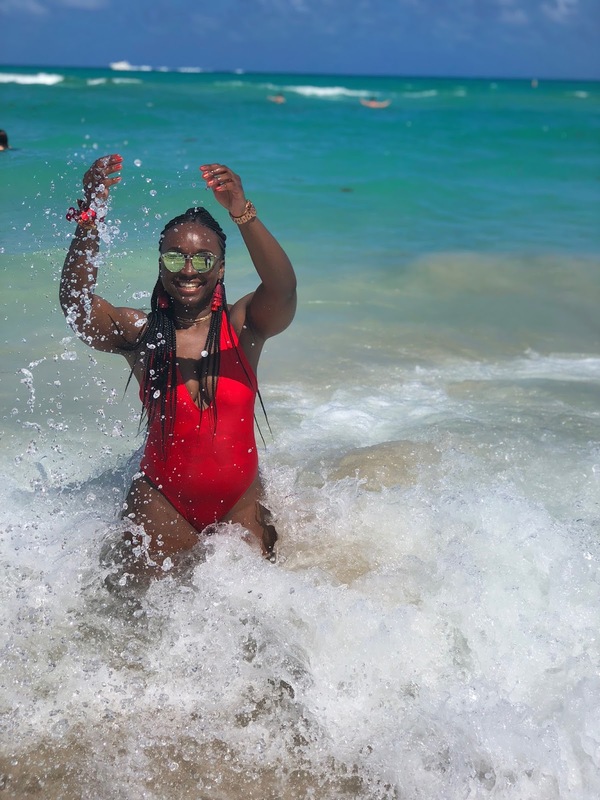 One of my friends, Courtney, planned the entire trip and you can book your travel through her here. I'm taking off today for another trip, follow my travels @thestylegrad!